ILLINOIS -- An autopsy Friday on the body of a 14-year-old Erie girl revealed a frightening tale about how the Erie High School freshman died. Lydia Elaine Chaplin died of hypothermia after being attacked during the night along a rural county road by a pack of dogs that included three pit bulls and one mixed breed, Whiteside County Sheriff Roger Schipper said Friday night. 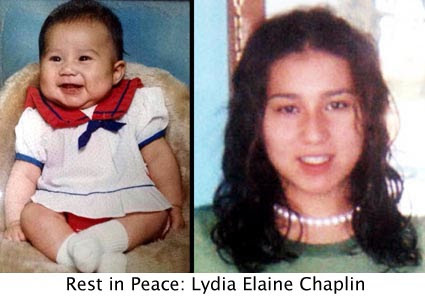 Schipper said Lydia suffered several serious injuries due to "multiple dog bites," and that she attempted to "get away from the area where the dogs attacked her." Her mother and stepfather, Becky and Tony Lopez, filed a missing person's report about 6:30 a.m. Thursday, after discovering she wasn't in her bed. A Whiteside County sheriff's deputy found the girl's body about 7:30 a.m. Thursday in a ditch on Keeley Road, about a half-mile from the family's home in rural Erie. She was found by the same deputy who went to the home after the parents called, driving along a different road than he had taken to get there. The dogs involved were impounded Friday morning by the Whiteside County Sheriff's Department with the assistance of Whiteside County Animal Control, Schipper said. Their current location or names of the owner or owners were not released. A coroner's inquest is pending. Initially, the sheriff's department believed she had been struck by a vehicle. The Davenport and Bettendorf police departments also became involved, talking to friends of Lydia that she may have planned to meet and examining vehicles. A few pieces of yellow police tape were all that remained Friday where Lydia's body was found along Keeley Road. The icy gravel road leads the way to a few barns and farm fields near Elston Road, but no homes sit along that stretch. Schipper said the girl's mother and stepfather are having "a rough, rough time with this." "It's a terrible, terrible thing," he said. "She hasn't even lived her life yet. She's only 14 years of age. It's not good at all." KANSAS, OKLAHOMA -- Her 2-year-old daughter was mauled by a neighbor's pit bull. The News on 6 was the first to tell you about the frightening attack Wednesday in the small town of Kansas, Oklahoma. Thursday, for the first time, the girl's mother talked with News on 6 reporter Steve Berg at St Francis Hospital about what happened. Stephanie Crittenden says she and her two daughters were at her cousin's... getting ready to go look at houses, because theirs was ruined in a fire a couple of weeks ago. 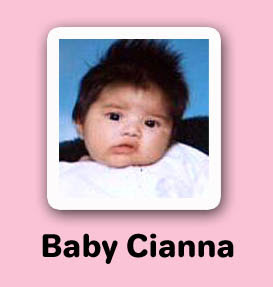 In fact, a picture of Cianna as a baby is the only one she was able to save. But after that setback, an even worse tragedy was looming. "She ran towards the door, and I said Cianna baby, don't get dirty, we're going bye-bye." While Stephanie was gathering up her 7-month-old baby, her daughter, two-year-old Cianna wandered next-door where the neighbor's dog, a pit bull mix, was chained to a tree. Stephanie says Cianna had lost her dog in the fire. "That's why she thought all dogs were good." Stephanie says she ran toward the dog and grabbed the chain. "And pulled the dog back and it still wouldn't let go of her, and you could smell the blood. And I stuck my hand in its mouth and started pulling back and finally he released her and she fell to the ground." Cianna had deep bites on her face, head, and neck, which reached her spinal cord. Doctors thought she might have paralysis. "She proved them wrong, she's smiling, she's moving her arm." Stephanie says she doesn't blame the dog's owners, but she also thinks they should have had it inside a fence. "Right now I've got mixed emotions, and I don't know if that's what I'm supposed to feel. I don't know what I want to feel." But she knows she's glad to still have her daughter. "And it happened so fast, but she's strong, she's really strong. She's our Cianna, our ladybug." Stephanie made a point to thank all the well-wishers who have called and sent cards. If you'd like to help, the firefighters from the town of Kansas have set up a fund at the local Harvest Bank in Kansas, Oklahoma. 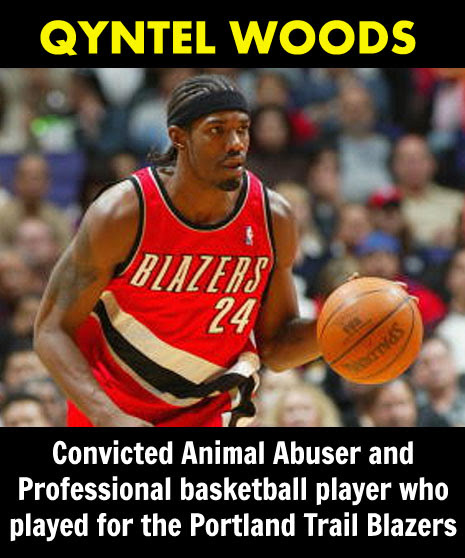 OREGON -- Qyntel Woods' troubled tenure with the Portland Trail Blazers ended Friday with the team waiving their suspended forward after he admitted mistreating his dog. Woods appeared in Clackamas County Circuit Court to plead guilty to first-degree misdemeanor animal abuse. He was sentenced to 12 months probation and 80 hours of community service. Woods had been under investigation for more serious charges related to dog fighting. His female pit bull is in protective custody. Within an hour of the court hearing, the Blazers waived Woods for "material breaches of the contract'' with the team and breaking team rules. Woods, who had been suspended indefinitely without pay since Oct. 12, by the team after allegations of animal abuse was to make $1.1 million this season, the final year of his contract. Woods did not comment directly, and the statement made no reference to dog fighting. Investigators from the Oregon Humane Society and the Clackamas County Sheriff's Office searched Woods' Lake Oswego home Oct. 11 and again Oct. 15 following a television news report alleging he had abandoned Hollywood and that she appeared to have bite wounds. Court records showed that investigators found bloody paw prints in a room above Woods' garage. First-degree animal abuse, a misdemeanor, is punishable by up to a year in jail and a $6,250 fine. However, no one ever gets a year in the county jail for animal cruelty. Even when they violate the terms of their probation, rarely do they ever get sentenced to spend the rest of their sentence in jail (judges threaten it to defendants but rarely carry out the sentence when they VOP). Woods' community service must be served within nine months and he must work a minimum of 8 hours a day for 10 days. As part of his probation, Woods is not allowed to have pets. Woods' agent, Raymond Brothers, said his client would also make a $10,000 donation to the Oregon Humane Society. Woods had faced a more serious charge of dog fighting, a felony in Oregon. Promoting or conducting dog fighting is punishable by up to $100,000 in fines and up to five years in jail, under state statutes. Woods had appealed the suspension to the players' union. The Blazers selected Woods in the first round of the 2002 NBA draft out of Northeast Mississippi Community College. He played in 115 games with the Blazers, averaging 3.1 points and 1.6 rebounds. He has had other brushes with the law, most notably in 2003, when he was stopped in Portland for speeding. He was cited for marijuana possession and driving without insurance and a suspended license. He paid a $1,000 fine for possession. The Blazers' swift action in waiving Woods is no surprise. The team has been trying to rebuild an image tainted for the past several years by player arrests and misconduct. "It is an unfortunate day. You have a young man that has a lot of potential and because of a dozen incidents over the past 18 months, he's ruining his career,'' Patterson said. Forward Zach Randolph, who said he had spoken to Woods the day before, said he was glad the protracted process was finally resolved and Woods could get on with his life. Notice Zach Randolph had nothing to say about the animal that was abused by his "good friend". Typical behavior by sports players to dismiss the seriousness of animal and domestic violence abuse. 1997: Convicted in Marion, Ind., of battery and sentenced to house arrest. 1999: Spends time in an Indiana juvenile detention center for selling a stolen gun. 2002: Arrested in Marion on charges of underage drinking. 2003: Blazers suspend Randolph for two games and fine him $100,000 for punching teammate Ruben Patterson, fracturing his eye socket. 2003: Charged with driving under the influence of intoxicants after police smell marijuana in his car. 2006: Police cite a member of Randolph's Hoops Family for street racing in downtown Portland at 3:15 a.m. Randolph, a passenger, carried two legally permitted semiautomatic handguns. 2006: Charged with sexual assault, but the case later was dropped. 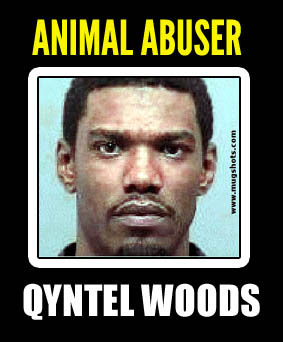 2006: Sued by a man claiming that Randolph and former teammate Qyntel Woods assaulted and harassed him after he implicated Woods in a dog fighting (animal cruelty) scandal. 2009: Arrested in Los Angeles on a drunk-driving charge, later reduced to reckless driving.